Sometimes you need a little cream topping but don't have time to shop for it so I keep a package of Dream Whip handy. You won't find this recipe in any cookbook, I discovered it by mistake when I was short of milk to make up the topping. You can use either regular milk or any calorie-cutting substitute. 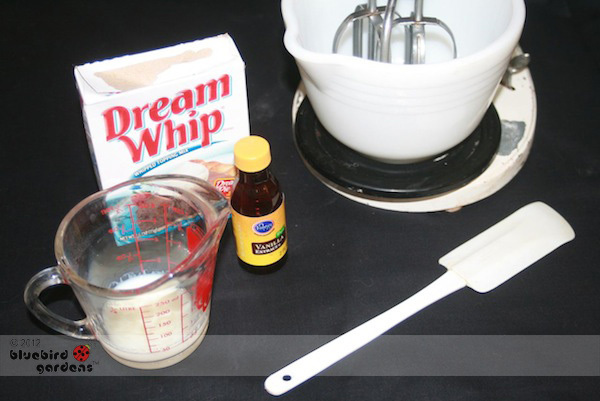 Use one package of Dream Whip; cut the liquid in half to 1/4 cup of powdered or skim milk, and double the vanilla. 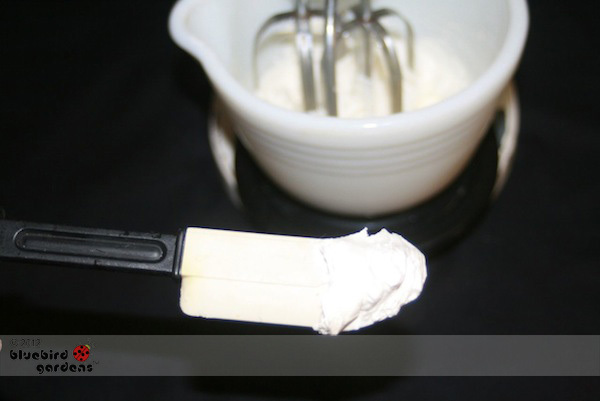 If you have time, stick mixing bowl and beaters in freezer; add an ice cube to the powdered milk mixture to make it cold. 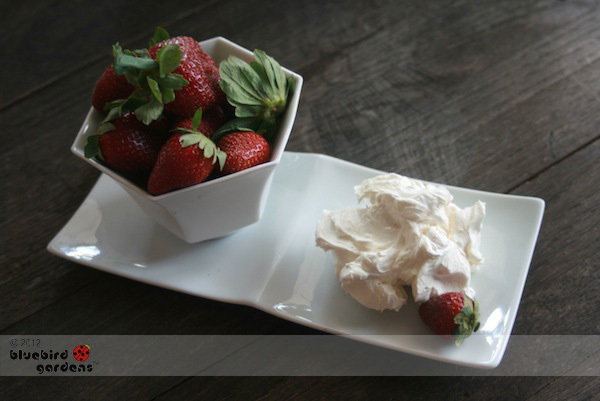 This will make the cream whip up faster but is not mandatory. Beat on high for 3-5 minutes. The topping will end up thick and nicely hold its shape. You can store this topping in refrigerator in a sealed container for a couple of days.